I’m going to expose what a geek I am with this one. I was a science major in college, I was a band nerd in high school, and as an adult I still play with trains. Last year I found a box at my parent’s house with me and my father’s old train cars. I had some space in my basement so I thought I’d try to set up a train layout. I had no idea what I was doing so I attended some meetings of the local model train club at the Bellingham Railway Museum. Some of the guys were going to Boundary Bay Brewery after the meeting so I joined them for a pint and some serious train talk. They got pretty excited of the pictures of the old train station and round house that are hanging in the men’s bathroom here at the brewery. 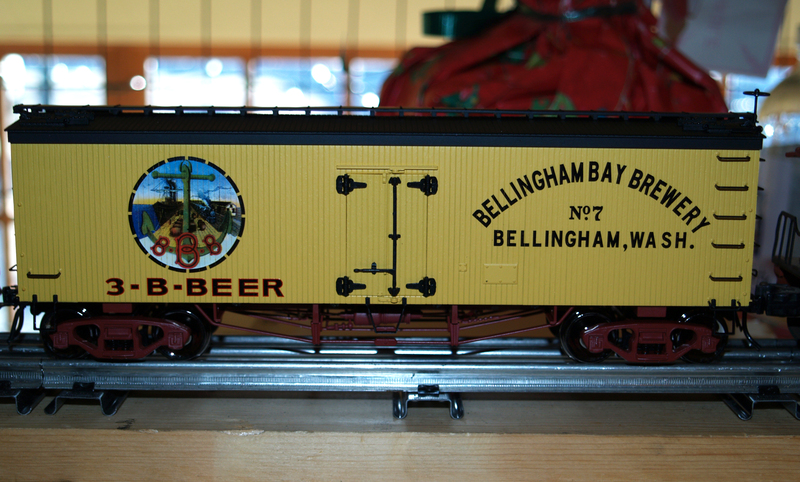 I learned from the group that Atlas has a Golden Spike Club that makes a special car each year that is only available to the club members and this year it was going to be a Bellingham Bay Brewery 3-B boxcar. I had to get one of these for Boundary Bay Brewery. 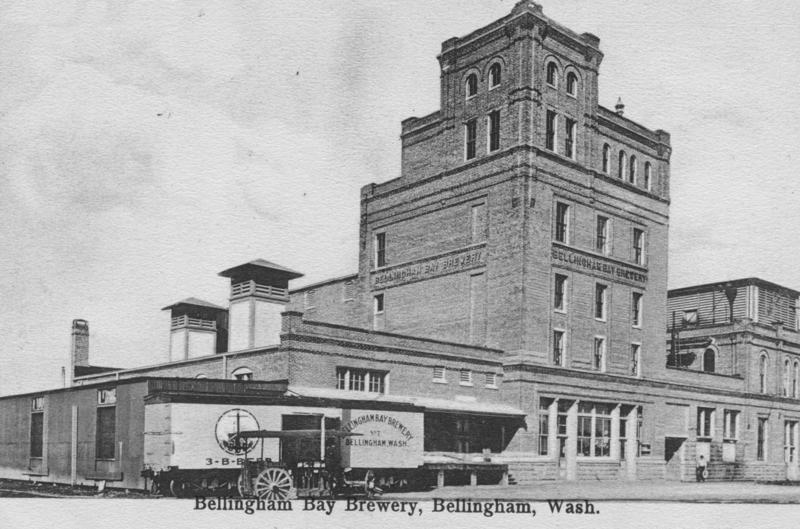 With some help from our social media guru Amy and the generosity of Atlas we got some of these train cars which are based on an actual historical photo of this car in front of the Bellingham Bay Brewery. We traded one with the railroad museum for some track, an engine, and a caboose. Now you’ll find our mini-train above the bar in our tap room. Dale the museum historian brought us some photos of the old 3-B brewery, located around current Ohio street, and some pictures of Railroad ave. where Boundary Bay is now. 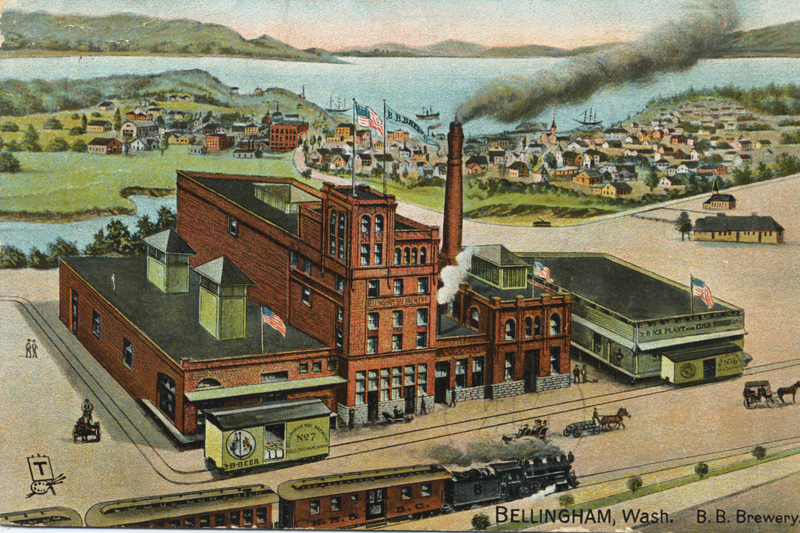 I’ve been fascinated with our local history ever since my Bellingham history class in third grade at Silver Beach Elementary. It’s really fun for me to see pictures of Railroad avenue with trains on it, now the location of Boundary Bay Brewery, with our train on the bar with a historic replica of the 3-B train car. It will be even more exciting next time we brew 3-B and have it on tap at the bar. In the meantime I’ll be working on my Beer/ Zombie apocalypse themed train layout six feet from my keggerator. I’m looking for ideas of how to build HO scale (1:87) hop and barley farms..